Abu Dhabi Harlequins are the capitals’ biggest and most successful rugby club, boasting three senior mens teams, two ladies teams, a veterans team for the 35+ players and a mini/junior rugby section that covers all ages for girls and boys interested in playing rugby in Abu Dhabi. The Quins mini/junior section starts from U4s up to U19s boys and girls. The U4s up to U8s play a form of tag rugby (Quick Rip) and from U9s upwards they get to grips with full contact rugby (boys only). The girls rugby carries on to U12s with tag rugby. The U15s Girls currently play touch rugby (FIT Rules) and Under U18s+ Girls play full contact. 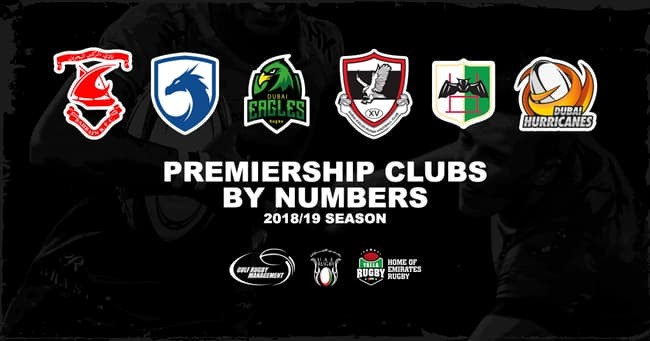 The senior mens rugby compete across all three of the domestic UAERF leagues – Premiership, Conference and Community League which although it may seem as a social side of the club, is still a highly competitive league. The Quins ladies rugby team compete with other teams from Dubai, Muscat and Al Ain and Ras Al Khaimah in the Cross Boarder Sevens competition. The club has both seniors and junior players either currently representing or with previous international experience. Recently a handful of the 1st XV players represented the UAE National Team in their triumph in the Singapore 7’s where they came home victorious. The coaches and behind the scenes helpers are all volunteers, but bring plenty of experience and dedication that makes the Abu Dhabi Harlequins run like any professional club, from their in depth and player specific pre-season program to their historical involvement in the Dubai 7’s, where they have picked up many trophies in the past. If you’re new to Abu Dhabi or you have been in the UAE for a number of years and feel you would like to get back into rugby union, then use the contact form below to contact the Harlequins Rugby Club directly. I haven't been to the club but I do follow them via the website and through YouTube. They're a good side and have won a few titles in Gulf Rugby. Come on you mighty Quins!!! !